Eucatus book sox are JUMBO sized to fit most large, thick textbooks. These will fit books up 9 inches by 11 inches (23cm x 28cm x 4.5cm). You will receive 6 creatively designed book covers. THE PERFECT BACK TO SCHOOL GIFT. 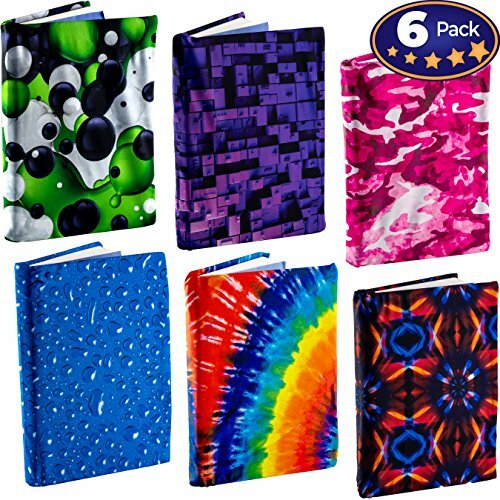 Our six pack of fabric book jackets starts students off on the right foot by taking away the worry of damaging books or grabbing the wrong book.